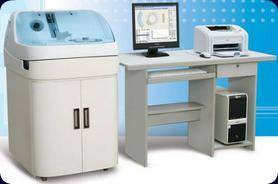 Labinfo is a multipurpose laboratory IT-system designed for hospitals. It fully meets the requirements of the largest biochemical and haematological laboratories. It is among the first laboratory information systems of this kind in Slovakia. We have been working on development and improvement of this system since 1989 and it has been introduced in nearly the half of all hospitals in Slovakia as a turnkey IT-system. In its present form the system incorporates requirements and ideas of several dozens of hospitals. During the development the greatest attention has been paid to the simple control of the system. The main idea was that even staff without any previous IT-skills could safely operate the most important parts of the system after a couple of hours training. Thanks to special data management technique developed by our company the system works equally fast also with the oldest types of computers, which are unfortunately still numerous in the public health sector. Our IT-system can control any automated or semi-automated analyzer equipped with a communication interface. 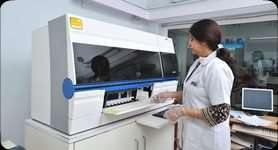 The high number of our customers and the fact the main business of our company is development of healthcare system software guarantee that also in the future we will be able to satisfy the demands of our customers and carry out the necessary modifications promptly and in a high quality as we used to. Our IT-system is suitable for controlling any automated or semi-automated analyzer equipped with a communication interface. So far we have solved connecting several analyzers into system.